Written in a friendly, recipe-based style, this practical cookbook will show you how to create, maintain and customize attractive eCommerce solutions with ease. 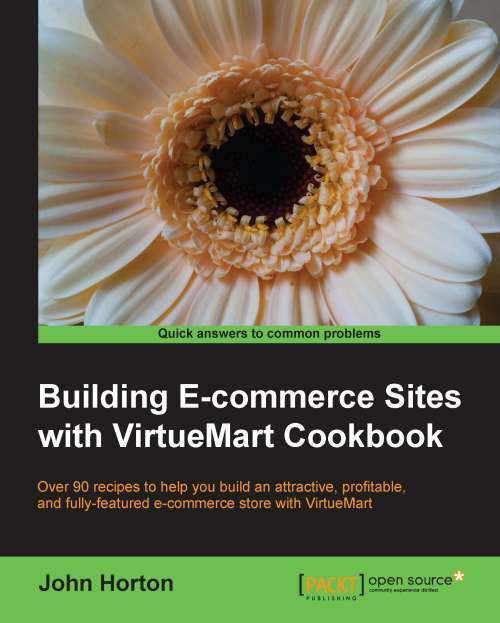 This book is written for anyone who is interested in building eCommerce solutions with VirtueMart. If you have little to no experience with eCommerce this book will show you how to overcome any problem no matter how complex it appears. Experienced site builders and administrators will also find the solutions this cookbook offers useful. Basic HTML and CSS would be beneficial.